Former New Zealand skipper Brendon McCullum will play his final Big Bash League home game when Brisbane Heat end their season against the Melbourne Stars. The BBL will lose a little more Bash as big-hitting veteran Brendon McCullum calls time on his Brisbane Heat career to start the transition into cricket's coaching ranks. 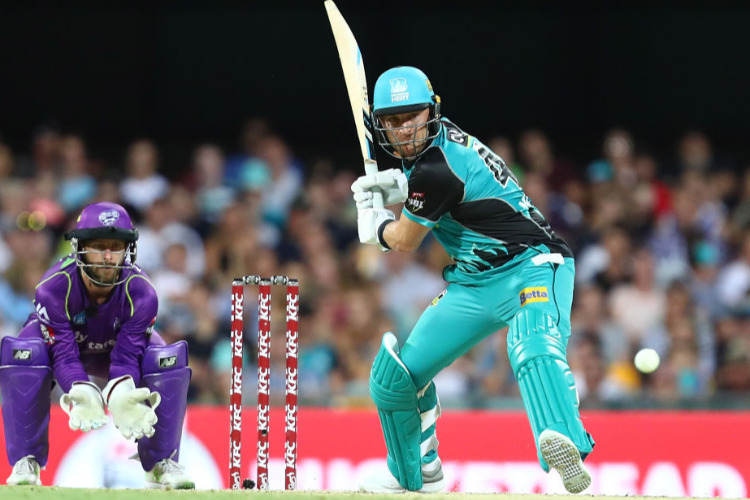 Friday's must-win clash for the Heat against the Melbourne Stars will be the 37-year-old's final BBL home game after he decided to retire from Australia's domestic Twenty20 competition. McCullum broke the news to his teammates after blasting a half-century to help the Heat to a six-wicket win over the Adelaide Strikers on Sunday night. "I will continue to play T20 cricket in 2019 in various competitions around the world and will then look to transition into a coaching career," McCullum told the playing group. "The prospect of being able to transfer the skills, experience and leadership I have been lucky enough to bank over my long T20 and also international career into coaching is very exciting." The New Zealand master blaster has belted 920 runs and five fifties in 34 matches for the Heat since debuting in the inaugural 2011-12 season. After retiring from international cricket, McCullum returned in 2016 to captain the side before ceding the top job to fellow 'Bash Brother' Chris Lynn. "It was a privilege to captain them," he said, after his decision not to take up the option on his contract for next season. "Having been there at the start, and then seeing (the BBL) grow and evolve into one of the best T20 competitions in the world has been great to be part of." The foundation Heat star was confident in the BBL's direction despite dwindling crowds, criticism over the expanded 14-match season and lack of star power. "The BBL will get stronger and better from here too as everyone becomes more comfortable with the format and the clubs continue to be bold in their planning and preparations," McCullum said. McCullum's sixth-placed Heat (5-7) remain a mathematical chance to play finals, and extend his BBL career. However, they must beat Melbourne (6-6) and then rely on the Stars losing to the Sydney Sixers as well as the Sydney Thunder (5-7) falling to Hobart while net run rate could also be a factor.